The Ringed Teals which remain colorful all year round are a demonstrative pair and you will often see their bills touching and elaborate courtship displays. They form bonds longer than most ducks, sometimes for a lifetime. The male participates in raising the young and defending his mate against intruders. 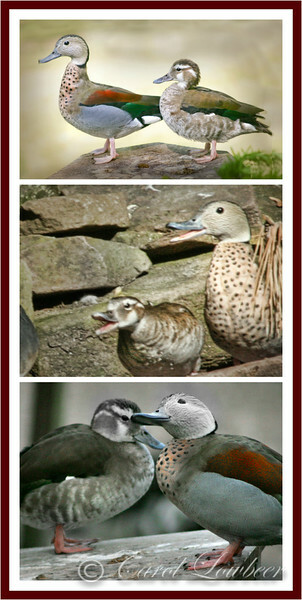 In the wild, the Ringed Teal breeds mainly in Argentina and Paraguay.